Disclosure: This is a sponsored post for Self Care Catalysts’ Self Care Mvmt. I have been compensated through the Chronic Illness Bloggers network. All opinions are my own, and I was in no way influenced by the company. This post may contain affiliate links. I’m really bad at self care – so much so that I think my super-charged type A personality is probably one of the main reasons I’m chronically sick now. I drove myself too hard, for too long, without considering the consequences. In my former life, I was one of those all work, all the time, kind of people. But life has a way of equaling the playing field. 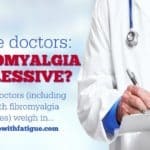 I didn’t take care of myself, so now my diagnoses of fibromyalgia and chronic Lyme disease have forced me to slow down. I have no choice. My body demands it. 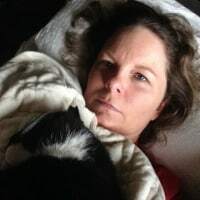 My name is Donna, and I have fibromyalgia and Lyme disease. 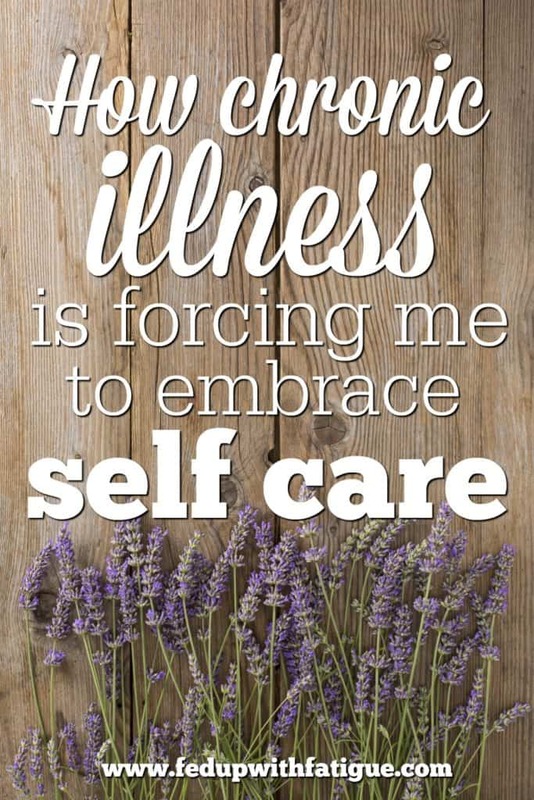 Living with chronic illness has caused me to be much more mindful of my own self care. My newly revamped bedtime routine includes snuggle time with my favorite kitty, Buddy. 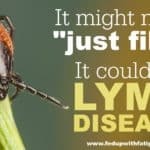 My Lyme diagnosis last spring came with an entirely new treatment protocol involving prescription antibiotics and antifungals. The medicines are hard on my body, and I spend a good amount of my days fighting nausea and other super fun side effects. My doctor says that’s happening because my body isn’t flushing out the dying bacteria fast enough, and she’s ordered me to take certain steps to speed up the detox process. To help in that effort, I’ve completely overhauled my bedtime routine. Over the past few weeks, it’s evolved into my own little self-care ritual and something that I actually look forward to at the end of the day. My husband has never seen a light switch that he didn’t want to turn on. Most of us with fibromyalgia are sensitive to bright lights, so it drives me crazy when he flips on the bright, overhead bathroom lights to prepare for bedtime. Not only are these lights glaring, they also disturb our body’s natural production of melatonin, a hormone that helps us to fall asleep. I’ve invested in two blue-light blocking light bulbs for the sconces in our bathroom and have encouraged him to use them instead of the overheads. These bulbs give off a soft, amber light that is supposed to signal my body that it’s time to wind down and think about sleep. Before showering, I’ve started dry brushing my body. This practice is literally what it sounds like. I use a dry brush to slough off dead cells and help speed up the skin’s own natural detoxification process. 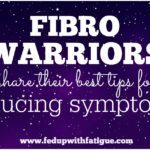 (Here’s a helpful article on why dry brushing is good for those of us with fibromyalgia and chronic fatigue, and there are many how-to videos on how to do dry brushing on YouTube.) I’ve tried dry brushing in the past and never kept up the habit for very long because I found the brushes to be too abrasive and painful. But after doing a little research, I found a natural boar’s head brush that I can finally tolerate. It’s technically a hair brush, but it’s worked well for my dry brushing routine because the bristles are really soft and don’t scratch my skin. It actually feels pretty invigorating because it gets the blood and lymph flowing. Over the past few months, I’ve used the Environmental Working Group’s Skin Deep database to slowly replace my personal care and makeup products with less toxic, more natural options. I’m trying to reduce the number of chemicals that my body has to fight off on a daily basis, which hopefully will, over time, help it become more efficient at detoxifying. I chose Everyday Shea’s lavender body wash because the scent is soothing, and it doesn’t contain a lot of harsh ingredients. After my shower, I slather my body in The Fay Farm’s Serenity lotion. I’ve reviewed this lotion in the past, and it’s still my favorite even months later. It’s thick, indulgent and has a light herbal scent – I’m sure there’s lavender in it!- that calms me before bedtime. 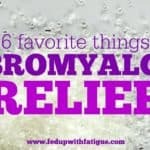 It also contains topical magnesium to help with fibromyalgia aches and pains. I usually finish off my routine with a quick spritz of Aura Cacia body mist – in lavender, of course. Can you see the theme? I’m obsessed with lavender aromatherapy these days for some reason, which is funny because I couldn’t stand the smell of it when I was younger. I think that’s my body’s way of saying I need to relax and slow down! I’m listening, body, I’m listening! My new bedtime ritual is a nice way to end the day, and it’s encouraging me to be more mindful of how important self care is in the healing process. So, now it’s your turn: What does self care mean to you? Share your thoughts on the Self Care Mvmt Facebook page, tweet your answer to @selfcaremvmt on Twitter or tag selfcaremvmt on Instagram. You might also want to check out Self Care Catalysts’ free Health Storylines app, a “personal self-care tool and health journal that lets you use the power of your story to personalize your care, create your own support network and influence the way medicine cares for people like you in the future.” The app allows you to store medication/treatment instructions, receive reminders, track symptoms/diet/mood/etc., keep a health journal and much more!